Today’s a good day for cityphiles, civic-minded thinkers interested in what’s happening in cities around the world. Why? Because GOOD magazine has just published its 2014 GOOD City Index, which ranks 50 top “cities of possibility.” Hong Kong (yes, Hong Kong in China) tops the list, which includes just five U.S. metro centers (New Orleans, Detroit, Los Angeles, Atlanta, and Santa Fe). We spoke with GOOD Cities Editor Rosie Spinks to find out why. How was this year’s GOOD City Index put together? We start from the premise that travel books and magazines often treat cities as backdrops, places that are either totally awesome and functioning or chaotic and broken. We don’t see it that way, because cities are always in progress. We look at which cities have been moving in the right direction over the past few years and which cities have inspired us, which have been dealt some heavy blows and how they have responded to them. Then we find locals or adopted locals living in those places and ask them to tell us how it feels to be on the ground there right now, even if it’s not perfect. We give them criteria to explore, but also do our own research on data points, like the number of trips taken on public transportation, the carbon dioxide emissions per capita, or the number of foreign born living in that city. We balance the quantitative with the qualitative and come up with this list. How long does that process take? We started in July. It’s very labor intensive. This year we focused on what has happened since we published last year’s index, so you’ll see a lot of references to current events, like the floods that took place in Belgrade and how Dakar responded to the Ebola epidemic. What surprised you most about your findings? The parallels amongst the cities. Uber is totally changing cities all over the world. In Los Angeles it has completely changed the nightlife scene, and it launched in Delhi this year. In Seoul they are launching a homegrown version because the government didn’t want Uber to come in, but not because they’ve rejected the idea of a sharing economy. From L.A. to Delhi, to Berlin to Seoul, even though the context is very different, these kinds of ideas are consistent. The other thing that surprised me is how often protesting is a tool that people use. People talk about armchair activism and hashtagging, and how those things have made us complacent, but in researching our index this year, that proved not to be the case. Hong Kong took the top spot on the list. What does Hong Kong have that we don’t? The citizens on the ground in Hong Kong are really taking a stake in their future. They are not accepting that China’s policy is going to be the status quo forever, and the way they [demonstrated] that is what inspired us. We like the term “mindful civic engagement,” which symbolizes the kinds of things the people of Hong Kong were doing with the umbrella movement and the impermanence of the [protest] art installations they put up. There was an understanding that [activism] shouldn’t deface the city. They have a respect for public space. It was those details we liked about Hong Kong and how those protests manifested. People tend to think of political unrest as having a negative impact on the lives of residents. It sounds like you think that’s not always the case. Hong Kong is the perfect example of that. I would prefer to live in a city where the citizens are awake and showing that they are than in a city where people are conforming and accepting things they feel they can’t change. Americans often say our country is the best in the world, but only five U.S. cities made it onto the index this year. Generally speaking, what can our metros learn from those outside the U.S. border? American cities do not fare well when it comes to the data points that we investigate, like the number of trips taken on public transportation. The United States has the lowest modal split, which measures the different modes of how people get around. [Our numbers are] incredibly low compared to Europe, compared to Asia, compared to Africa, and compared to South America—countries where informal transit systems are serving 80% of residents in places like Nairobi. In addition to that data point, we look at work/life balance. America is the only industrialized country whose government doesn’t mandate paid time off from employers. Many people get it through their employment contracts, but it’s not required by the government. That’s something you just do not see in other places, and I’m not talking about places in Scandinavia. It’s understood pretty much across the board that paid time off is a thing humans need. Of the five U.S. cities that made the list, Los Angeles placed third, at number 24, behind New Orleans (number 7) and Detroit (number 17). Tell me about those rankings. Detroit and New Orleans have had major upheaval in the past five to ten years; Detroit even more recently with its bankruptcy, and how the cities responded really inspired us. When it comes to L.A., this year we were inspired by Mayor Garcetti. We liked his beta transparency initiative and how he tore up his lawn and his level of engagement. He makes his presence known and he embodies the Los Angeles that’s not Rodeo Drive and the Hollywood Sign. Does putting this index together change the way you interact with L.A.? It makes me think I under appreciate L.A. I see things like the initiative to legalize street vending and the growth of Silicon Beach and think, “Wow, new things really are happening here.” [My job] challenges me to be more engaged. I’ve been spending more time downtown and living a less car-dependent lifestyle. What’s one simple-seeming thing the city could do to improve urban life for Angelenos? I think they are doing it. The construction of the metro system is one of the biggest [public transportation projects] in the country right now. Building it out and making it work for Angelenos is something that needs to happen, and it’s in progress. 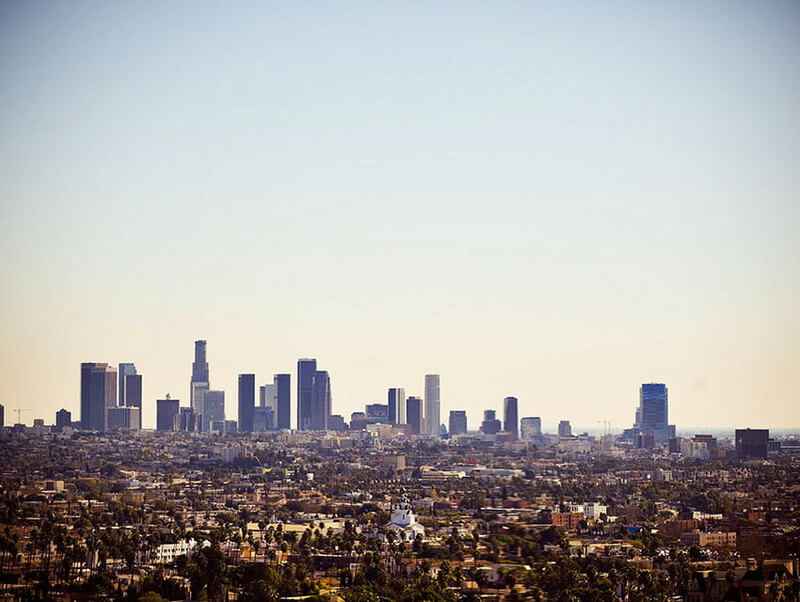 What’s one thing you hope never changes about life in Los Angeles? The food scene is incredible! You don’t have to eat fancy here to eat really well. Also, I grew up by the beach and I think there’s an environmental awareness in L.A. that I don’t sense as much in other cities. That’s something worth celebrating.